If you want to gain more influence and make more money in your business, you need to better understand your target audience. What struggles are they having? 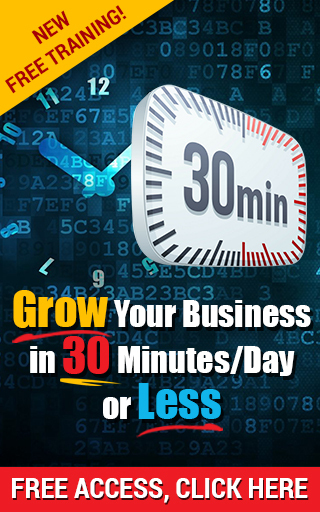 These are all questions you can answer using a free marketing tool called SURVEYS. I use surveys regularly to keep my finger on the pulse on what’s going on with my target audience. I use a free survey tool called Survey Monkey to create my surveys, collect responses and analyze the results. It’s super easy to use and you can create a simple survey in a matter of minutes. In the following video training, I take you inside my last survey, showing you the questions I used and my thought process behind asking them. Below, I give you each of the 5 questions I asked in my latest survey, the results obtained and WHY I asked the question in the first place. While I sent this survey out to my email list, you can also use send out links to surveys on social media. If you don’t have an email list (or have a small one), don’t let that stop you! 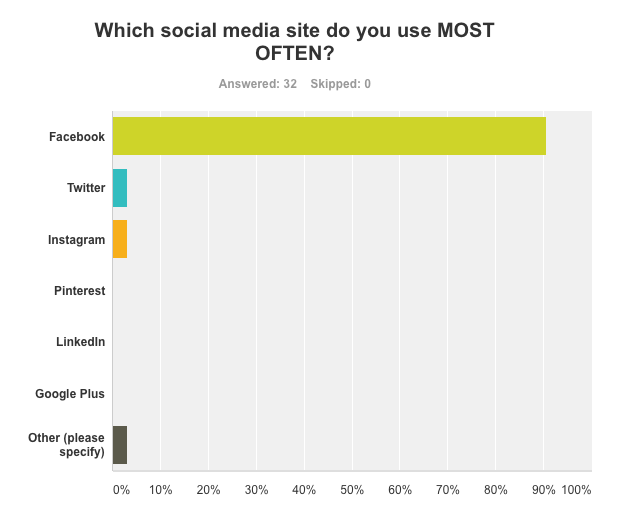 Question 1: What Social Media Sites Do You Regularly Use? Results: The top 3 social media sites used by people in my target audience are Facebook, Twitter and Instagram. WHY did I ask this Question? I wanted to determine WHERE my target audience hangs out online. 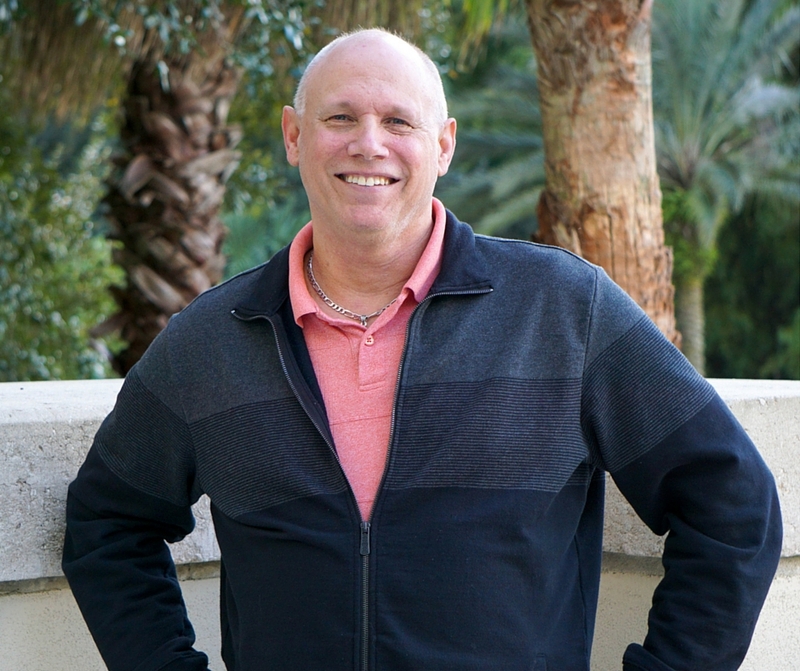 Now I know that I can best serve my prospects by sharing content on these 3 sites. 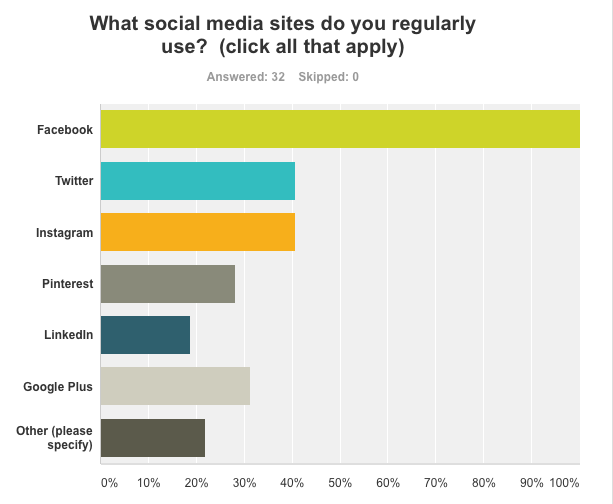 Question 2: Which Social Media Site Do You Use Most Often? Results: Overwhelmingly, Facebook is the place where most of my target audience calls “home” online. WHY did I ask this Question? I wanted to be sure I was spending the majority of my limited time in the right place. Facebook is the site where I will place most of my efforts in building relationships via social media. After all, this is where my target market is spending most of their time. Question 3: When Learning New Things, How Do You Like To Consume Content? 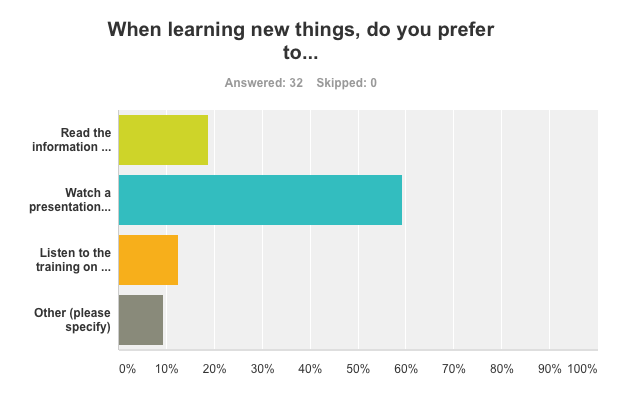 Results: Not surprisingly, the majority of folks who answered my survey like to learn new things from videos. To a lesser extent, they like to read blog posts. Why did I ask this Question? I wanted to ensure that I am delivering my content in the form most preferred by my target audience. 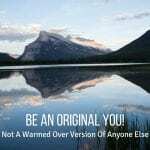 Since most like video and blog posts, I will be primarily using videos on blog posts (like this one) to share my content with prospects. Question 4: Who Are Your Favorite Trainers? Results: I got a wide range of answers to this question, as expected. Some of the trainers I know very well, while others I know less about or have never heard of. WHY did I ask this Question? There were 2 reasons for asking this question. First, this gives me additional places to go find new leads. I will visit the Facebook pages of these trainers and start getting to know people who’ve liked them. Second, this list of trainers gives me a great place to target my Facebook ads, which will help me gain more prospects and keep ad spend under control (since I know my target audience relates to these trainers). Question 5: What Is Your BIGGEST STRUGGLE Right Now In Your Business? Results: A wide range of answers, from money to time to focus to lead conversion. WHY did I ask this question? The answers to this question provides me with many ideas for creating content that will help solve problems of my target audience. When creating content, it’s best to know beforehand that it will be well received. They don’t want to spend a lot of time answering questions, especially if there’s nothing in it for them. 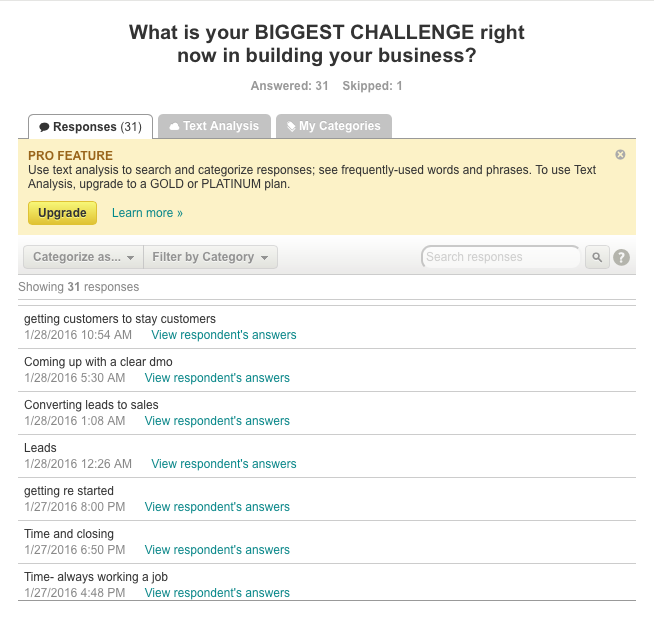 Here are a few ways to get more people to answer your surveys. Keep it short. If your survey is too long, people will lose interest half way through. Or they’ll take one look at your survey and click away. Keep it simple. Use multiple choice questions whenever possible, since they’re easier to scan and answer. Use an incentive. This could be your time, private training or a chance to win an Amazon Gift Card (my incentive for the above survey). 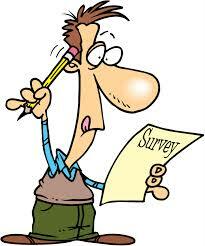 Have you ever used surveys? What has been your experience? If not, do you think you could use surveys to better understand YOUR target audience? And please consider SHARING this post with others who might benefit. 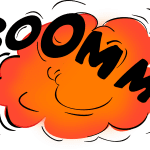 Online Marketing Tips: The Devastating 2-Step MethodLead Generation, Online Marketing, Stand Out!